Our core purpose as the Department of Physical Education and Recreation is to educate, engage, and inspire the campus community to live active, balanced lives. We provide strength and conditioning spaces, and physical activity programs such as personal and group training, PE classes, intramural sports, and youth and family programming in order to promote health, fitness, and active recreation. Our certified trainers, instructors, and administrative staff are dedicated to providing you with the best fitness experience possible. We are students with a love for health and fitness, and professionals with a plethora of expertise and experience. 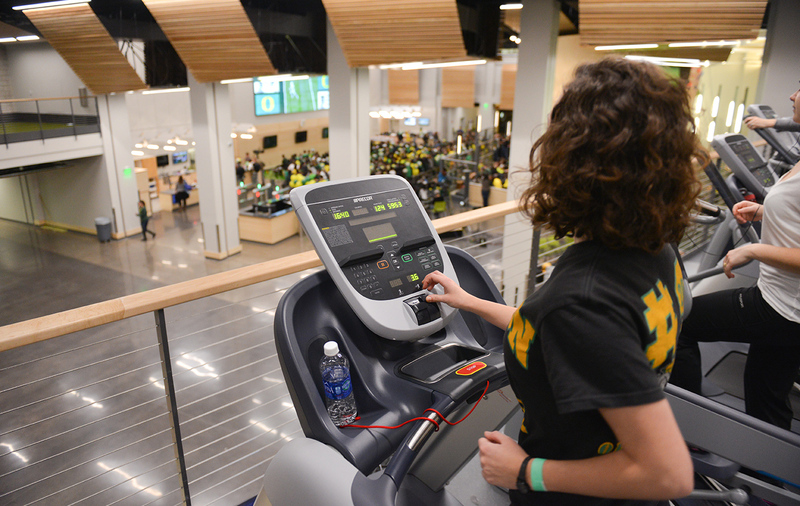 PE and Rec employs more than 300 student employees in a variety of positions each year. Gain valuable experience with a flexible schedule, and find your fit in a dynamic and fun environment while working in a field you are passionate about. The Rec is committed to providing a welcoming and inclusive environment that promotes the right of every person to lead a healthy, balanced life. We provide accommodations so that people of all abilities can participate in all the programs and services we offer.